Made famous by health-conscious celebrity moms, Orbit marketed several car seat-stroller combos as the first green car seat to contain “undetectable” levels of toxic chemicals. However, a recent CBS investigation discovered the car seats tested positive for chlorinated Tris, a chemical commonly used as a flame retardant despite its recognition as a dangerous carcinogen. Orbit has since changed some of its claims on its website. 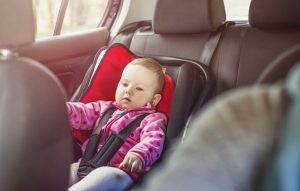 Federal laws mandate that child car seats be made with fire retardant materials – but many of the chemicals in these materials have been linked to cancer, neurological disorders, and developmental complications. Independent labs have discovered harmful chemicals in roughly 75-percent of all car seats but Orbit was the only company to claim they had “undetectable levels,” a report claims. If you believe you were misled by false advertising or marketing, contact a dangerous toys attorney at Cellino & Barnes today for a free consultation.